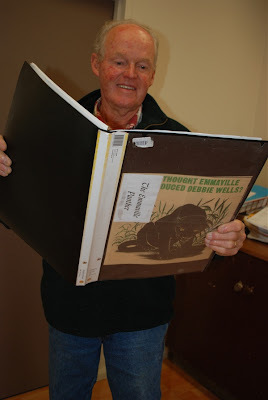 When I was growing up at Dundee in the 1950s I longed to see the Emmaville panther. But my mother told me it was only seen by men who were out too late at night. Since the Examiner revisited the legend of the local panther a couple of weeks ago, several other believers have come forward with reports of sightings or strange yowls and things that go thump in the night. It seems the panther has made its appearance in places other than Emmaville, sometimes in broad daylight. John King from Matheson can clearly remember an incident 18 years ago. At around 3am he and his wife Val were woken by a blood curdling screech in their front garden, followed by a loud thump of something hitting the ground. “I went out and found our pet cat right at the top of the tree. “The yowl I heard was definitely not from a domestic cat and the weight that hit the ground made a loud thud.” He recalls. This was one of four reported incidents around Matheson within around three weeks, attributed to a panther type creature. A large black cat was sighted crossing the Gwydir highway one night. Another Matheson resident reported their dogs being terrified and unwilling to come outside. Local grazier, Jenny Anderson, then living at “Caloola” at the top of the Matheson Valley, saw a large black animal she believes was a panther. “I was mustering sheep for crutching in the hills at the back of our property. I had dogs with me and was moving the mob down a fence line when I saw a large black catlike animal sitting on a log on the other side of the fence. “It was definitely not an illusion,” Mrs Anderson says. “This animal was black and shiny and about the size of a well grown kelpie. By the time I got the sheep through the gate it was gone. “When I got the sheep down to the shed my husband said I looked very pale and shaken. Those who have seen the panther recall it vividly even decades later. Cathy Potter, who now lives at Tenterfield, was newly married when she, with her husband Peter and his mother, sighted a panther at their Emmaville property “Wongalea” in 1967. “Peter’s mother saw it first and called us to look. It was early in the morning at this animal was only about 500 meters from the house. We were looking at it uphill against a fence and it looked about the length of two fence panels (4m) from head to tail. “I’ve never forgotten it. It was phenomenal, not an everyday thing. Horses wouldn’t go near the area where we saw it. There was an unusual smell around there. “We had a number of sheep killed on “Wongalea” at this time. They were hollowed out like a cat eats, nothing like a wild dog kill. One morning on the other side of the property about 2 miles from the house I came across a sheep with its leg completely bitten off,” Mrs Potter recalls. Peter Potter and his mother had previously sighted what they believed to be a panther in 1963. This one was sitting near the Bungulla Hall, not far from the road when they drove past, in separate vehicles one night. Mrs Potter remembers quite a few people around Emmaville saying they’d seen the panther around this time. “Some people wouldn’t report it because they thought they’d be laughed at,” Mrs Potter said. Stuart Boyd-Law from National Parks and Wildlife Service is quite sure no panther or panthers are at large in the district now. As Pest Management officer for the NPWS Glen Innes and Tenterfield areas, Mr Boyd-Law is responsible for monitoring and controlling all pest animals on the parks area of 324,000ha.”For the past 3 to 4 years we have had remote cameras across most of our parks tracking animal movements and we have never seen anything like a panther, “ Mr Boyd-Law said. “ No panthers have been found, dead or run over on the roads. I haven’t seen a good photo of one or scats or paw prints. This gives me grave doubts about panther sightings. 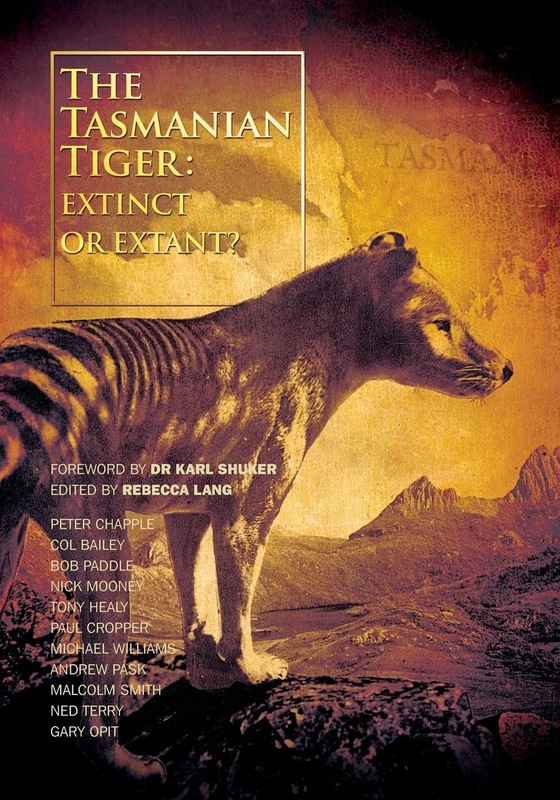 Mr Boyd Law said the largest feral cats are 8-10 kilos, much smaller than the animals reported as the panther. 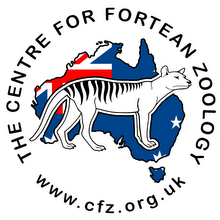 Have you entered the CFZ's Australian Big Cats competition? It closes September 1, 2012! A number of years ago when my grandmother was alive she told me about my father (her son) being sent out one afternoon to bring home the cows for milking. They live on the edge of Bonshaw (Northern NSW), and the scrub came down close to the house back in those days. When he didn't come home by dark, they went out searching for him but he was nowhere to be found. They searched through the night but found no sign of him. The following morning he arrived back at home with clothes torn and dirty, bedraggled, white faced and stony silent. He refused to talk about what had happened. Years later it came out that he had followed the cattle a very long way from home but had eventually found them. As he was rounding them up he disturbed a very large black cat, a black panther, which had killed a calf and was eating it. He ran for a large tree and grabbed a stick to defend himself. He said that he crouched inside the hollow tree fending off the cat with his stick all night. I'm not sure if he found the stick or had carried it to use with the stock. Anyway, at sometime around sunrise the panther finally left him alone but he stayed in the tree until broad daylight, terrified it would return. My dad was around 13 then so it would have been 1958, around the time of the Emmaville Panther sightings.He was born in 1945. Bonshaw is only a short distance from Emmaville as the crow flies so it's conceivably the same animal or family of animals. As a child I also remember sitting outside at night with my father listening to animal calls. Whenever we heard one call, my dad would quickly order us inside closing the house up and looking very scared. It was a deep, throaty kind of call, often with a kind of coughing noise following it. One night after hearing it we went inside. The next morning our chook house wire netting had been torn open and all 28 of my birds were gone. I later found bits and pieces of them strewn about the nearby paddock. That was in about 1981 or 1982. I've never seen it myself, but I do believe there is a real creature out there, not a myth.